Reminds me of my trips down I-95 and the hundred plus miles of billboards for South of the Border. 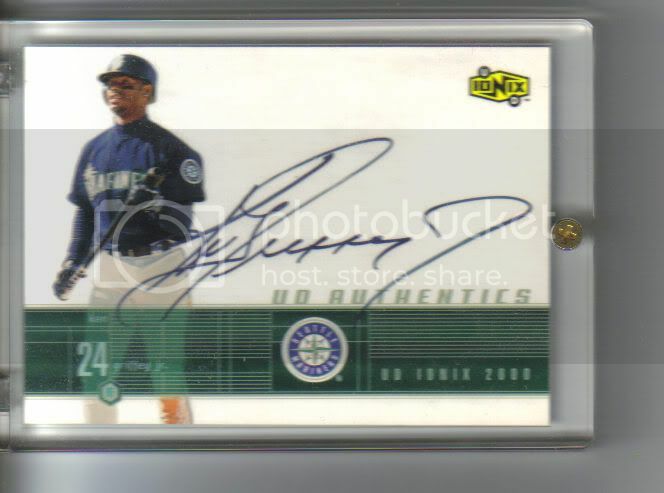 I just picked up a PSA10 Griffey UD 2nd year error card with no copyright on the back. 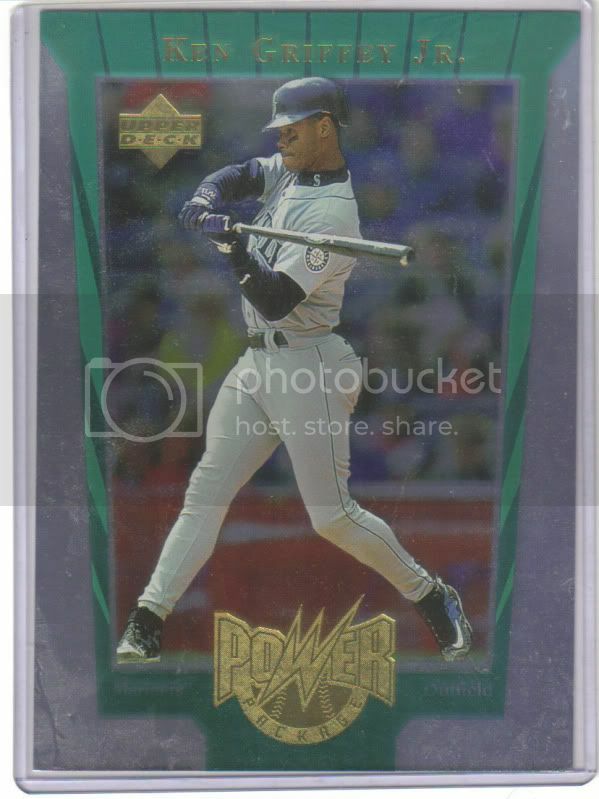 I never knew this card existed till recent, but had to own it. It has a low pop of only 17. Here is a link if you guys arent familiar with it. 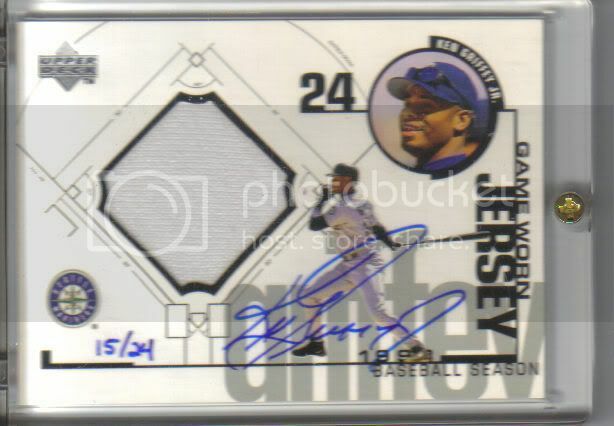 This card is not mine...just a random one on eBay. Last edited by maximus35; 10-26-2018 at 09:08 AM. 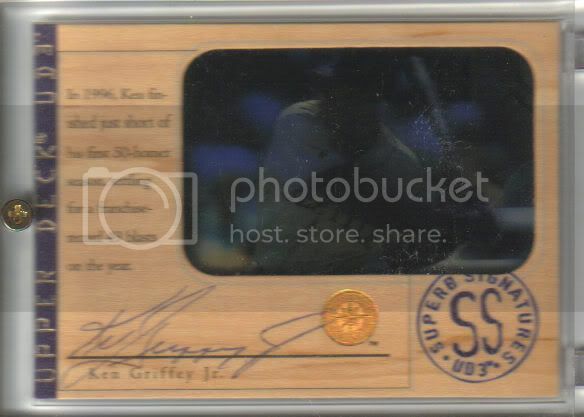 Love the 90 UD! I never knew that existed until recently either. 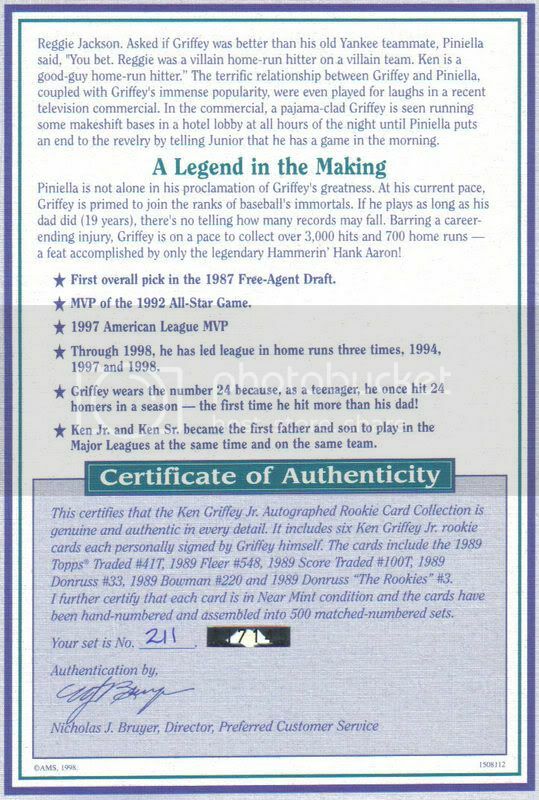 Fun factoid: Max signed the cards before the coating was applied. Last edited by Exhibitman; 11-01-2018 at 02:25 PM. 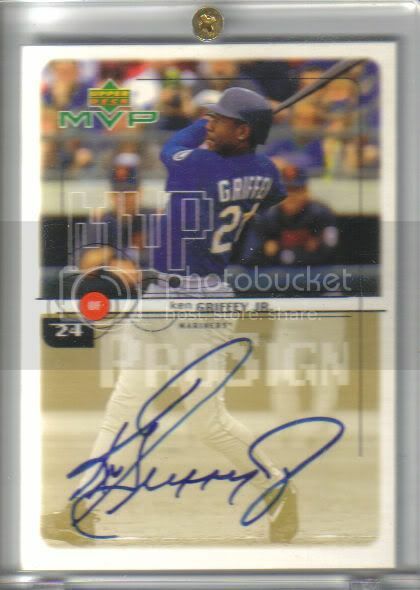 Well, he signed the numbered ones before the gloss was applied. There are a lot of those signed after the fact. %&^%%! You're right! I guess this one goes back. Why would you return it? Was it advertised wrong? long time Junior collector here, now retired............ I'll post some scans if you's don't mind?? long time Junior collector here, now retired............ I'll post some scans if you don't mind?? I can't see that being a problem! Post away. Last edited by magicpapa; 11-02-2018 at 11:44 PM. 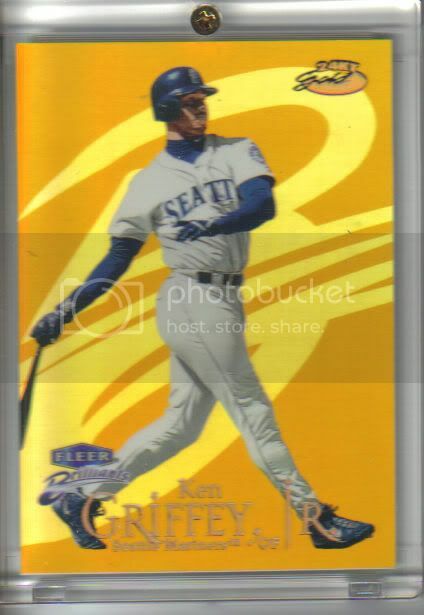 Funny story about Griffey finest refractor. 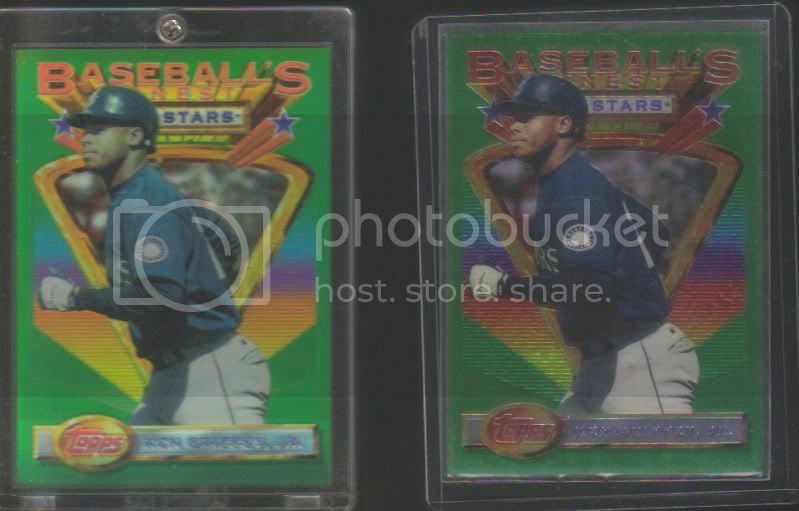 I went into my childhood LCS after these had come out. Hadn't been there in awhile but out of boredom I stopped in. 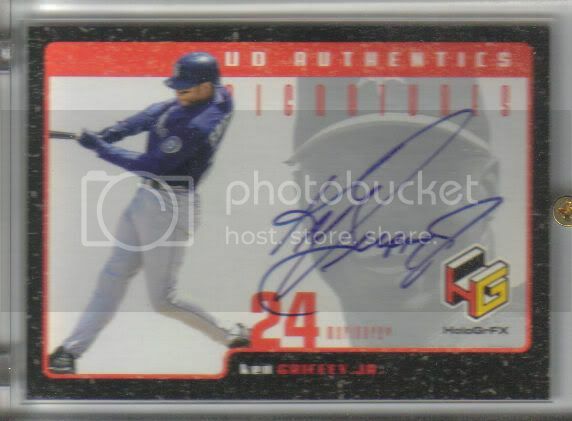 They had Griffey finest in display case for $25. 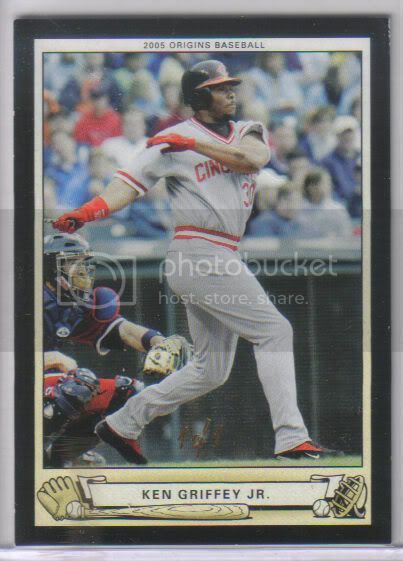 I asked the owner about it and he told me it was called a refractor and they were extremely rare. I bit and bought it. 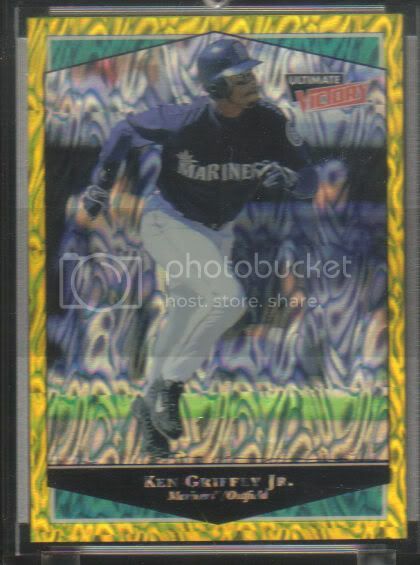 So for about 15 years or so I thought I had this super cool refractor card but turned out it was just regular one. It's possible the owner was misinformed even though he was shady as hell sometimes, but that was last time I got to go there. Nice cards! Keep em coming! 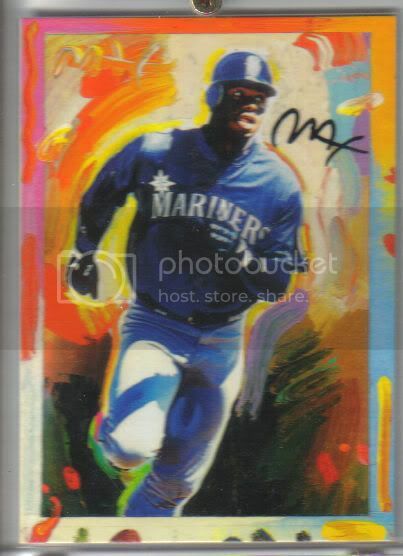 Any examples of a signed and numbered Peter Max Griffey? Last edited by magicpapa; 11-03-2018 at 09:37 AM. 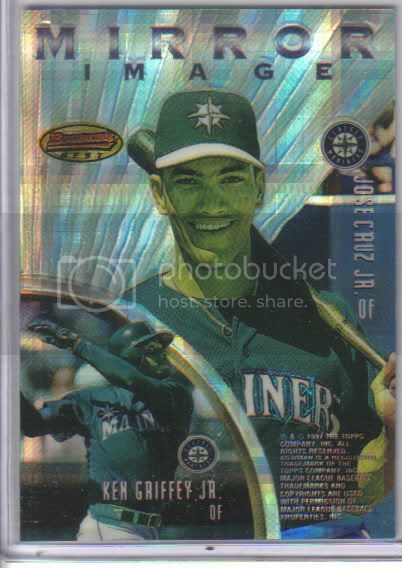 I also like 90s atomic refractors ! Nice card . Is the preview like a promo or something ? 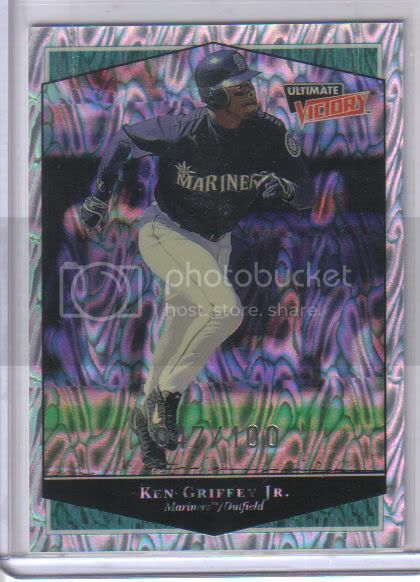 I really was a fan of the 90s atomic refractors from football . NOTE: A special 5" X 7" version was randomly inserted into specially marked Series One boxes sold exclusively at Sam's Club stores. Exclusive to magazine packs, this 24-card set features 12 players on a card die-cut into the shape of the player's home of away jersey. 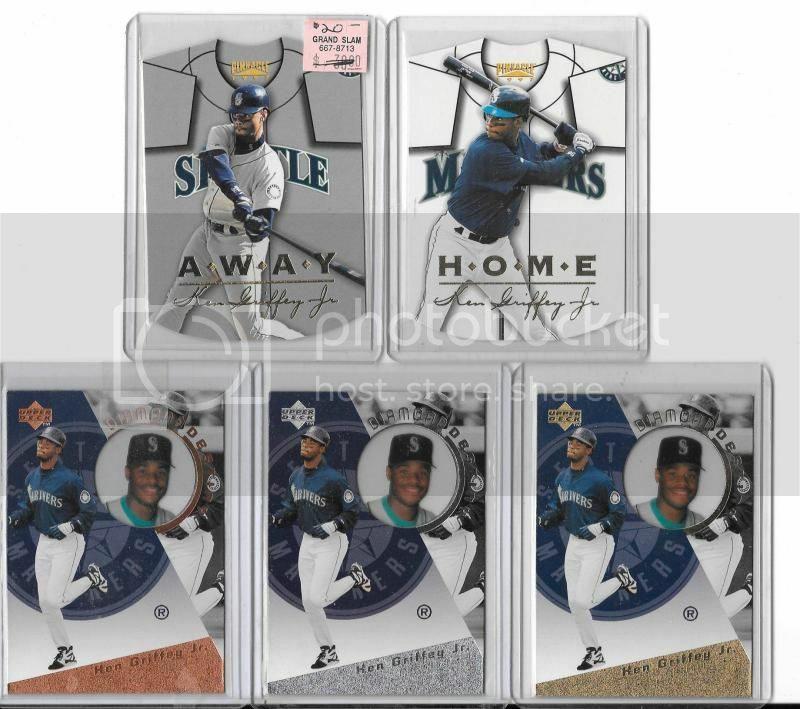 The odd numbered cards represent the Away jersey, while the evens the Home. 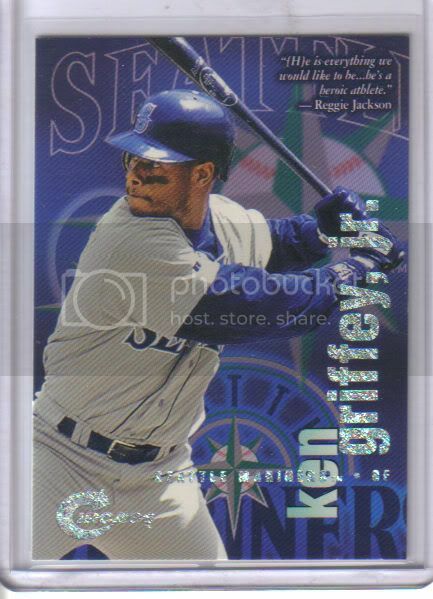 This 40-card set was randomly inserted into special "Upper Deck Tech" packs sold exclusively at Wal-Mart, at the rate of one-per-pack. 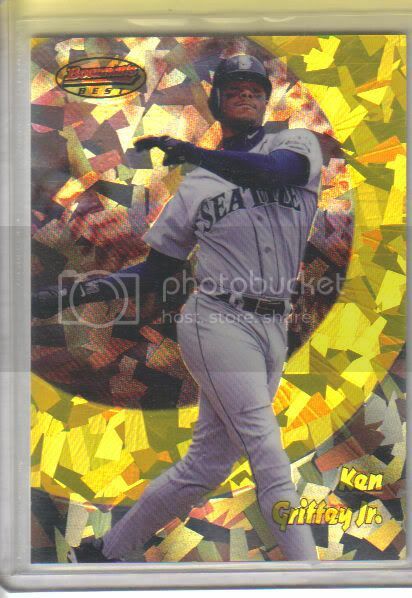 Each Tech pack contained eight Upper Deck base cards and one Diamond Destiny insert. 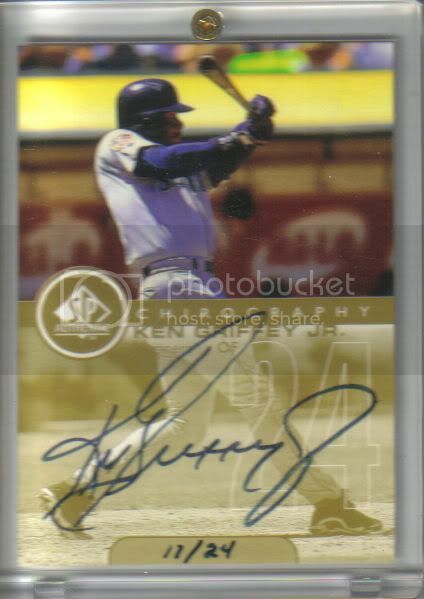 In addition, these cards are also available in the following parallels. 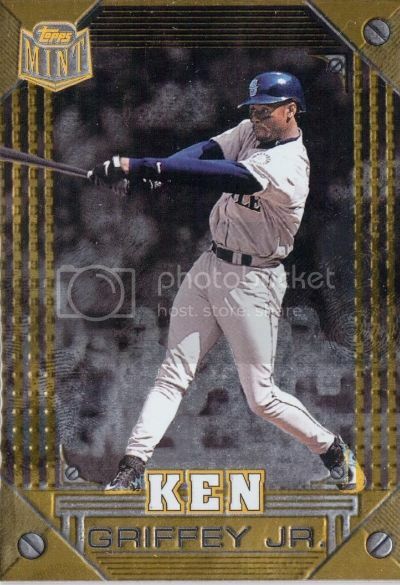 Each base card is available in one of three "Diamond" parallels: Double, Triple, and Quadruple. 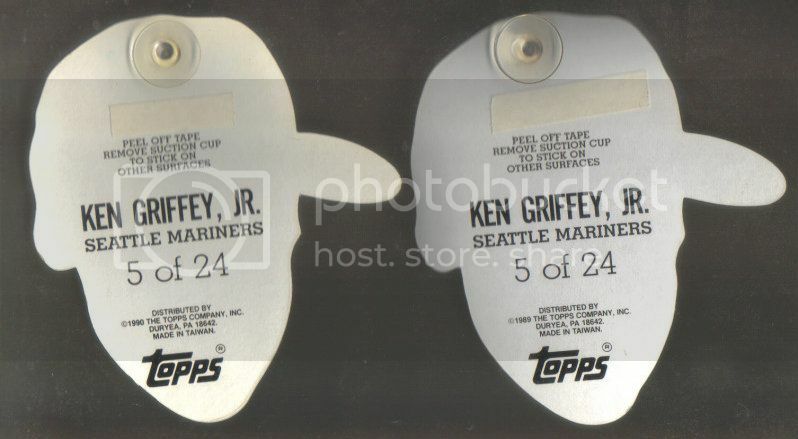 Each is serial-numbered to the following production figures EXCEPT the cards of Sammy Sosa, Ken Griffey, Jr., and Mark McGwire. 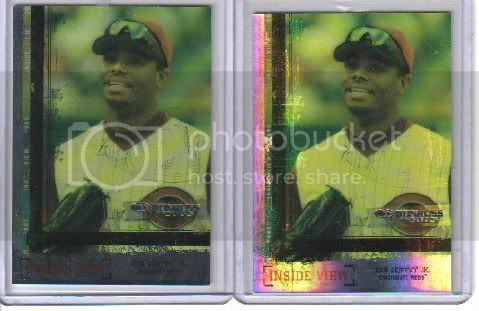 For Sosa, Griffey, and McGwire their Double, Triple, and Quadruple Diamond parallels are as follows. 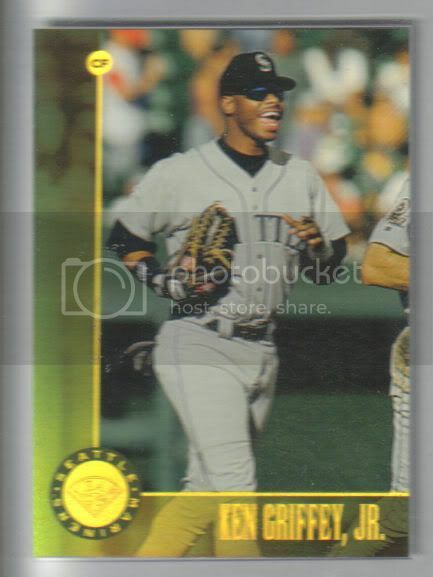 The Triple Diamonds were serial-numbered to their career home run total after the 1998 season. 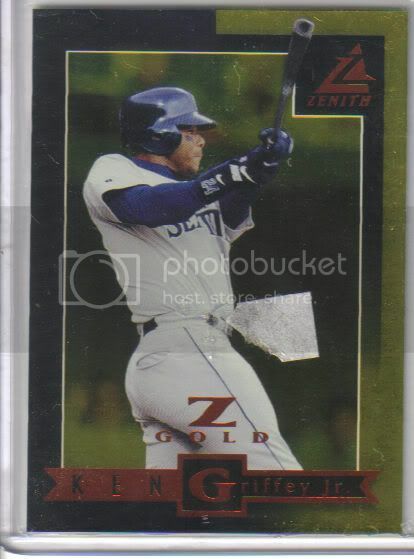 The Quadruple Diamonds were numbered to their 1998 season home run total. Last edited by magicpapa; 11-08-2018 at 12:02 AM. 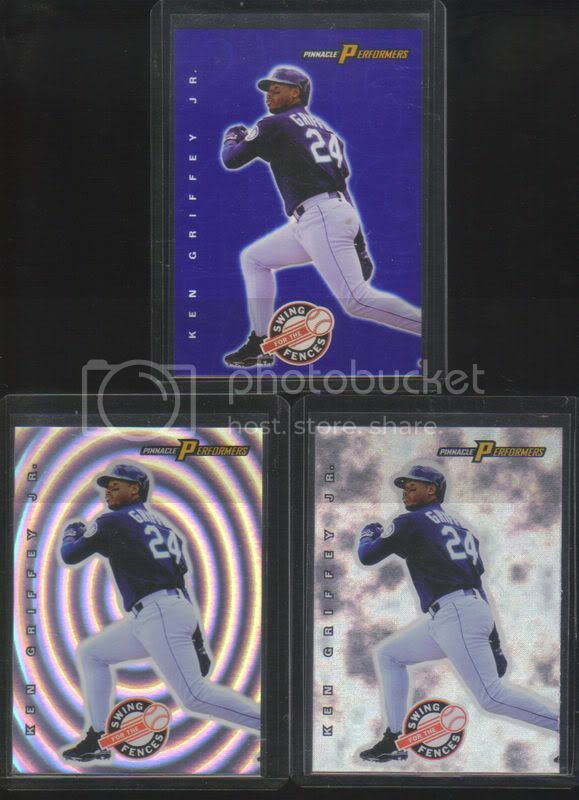 A final selection of 24 Epix cards was slated for inclusion in 1998 Pinnacle Certified, but the manufacturer went bankrupt before that product shipped. 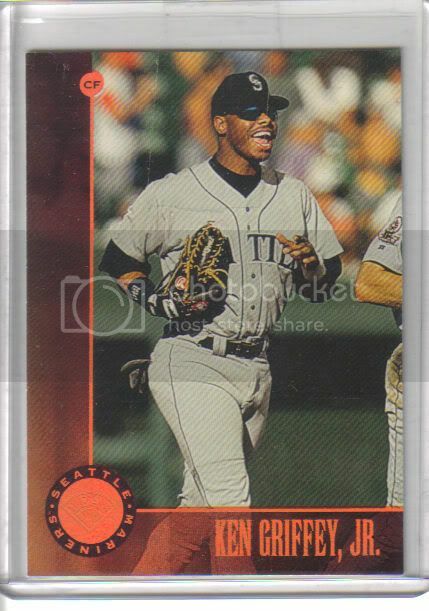 However, a full set of Epix cards from the Pinnacle Certified set emerged on the secondary market nearly 20 years after Pinnacle's bankruptcy. 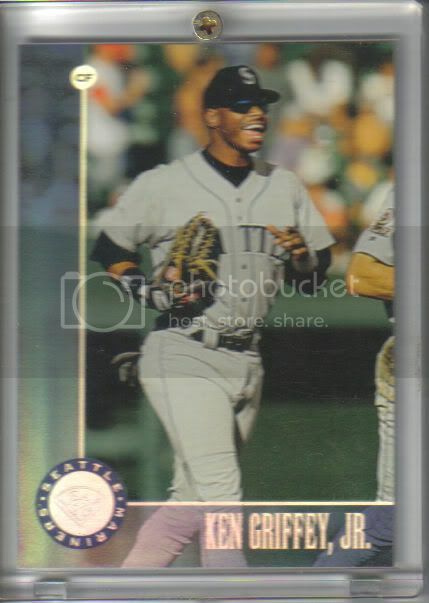 Cards marked with a "C" were scheduled for insertion into packs of 1998 Pinnacle Certified, but were never officially released. 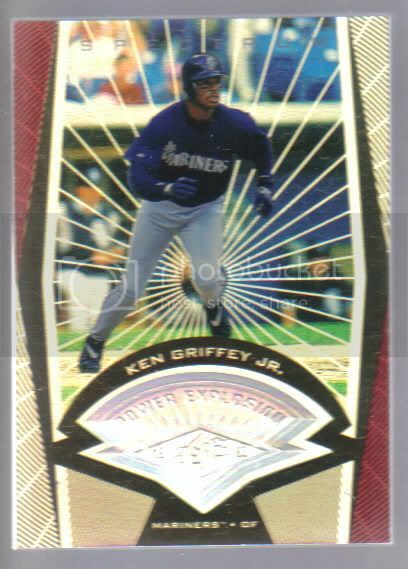 However, in October 2017, a full set of Epix cards intended to be released in 1998 Pinnacle Certified emerged on the secondary market, with some players having multiple copies surface. Last edited by magicpapa; 11-10-2018 at 05:52 AM. I picked this up recently. Really like it a lot. 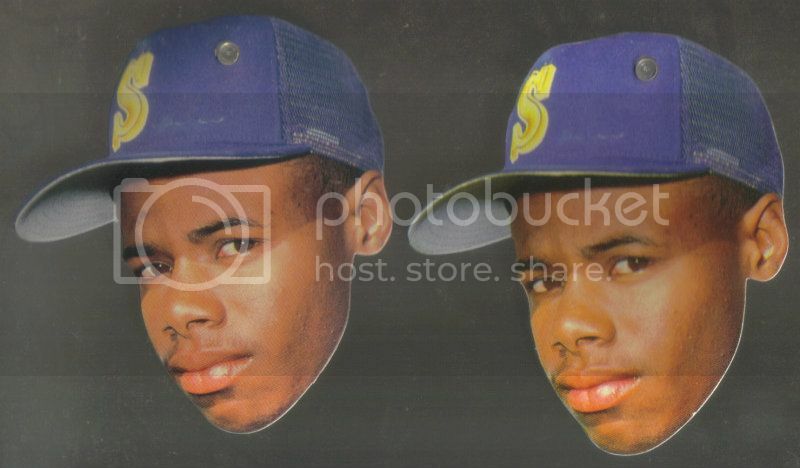 This insert set was, for reasons that still remain unclear, withdrawn from production. 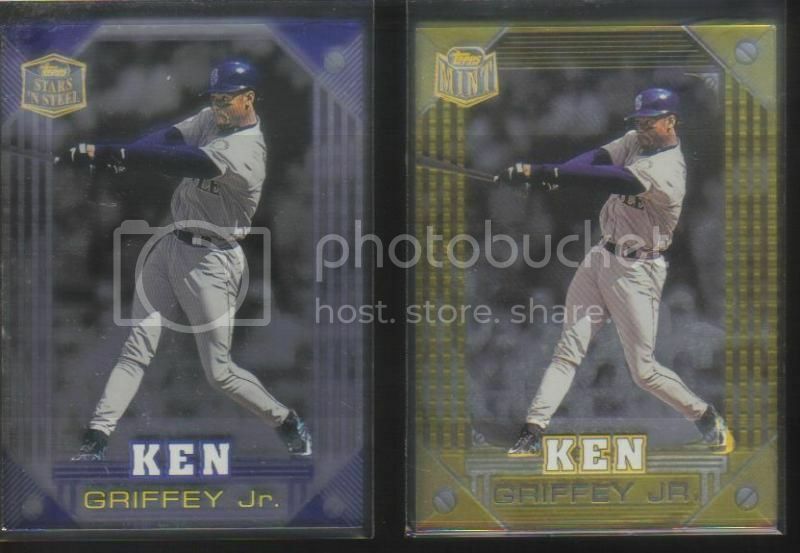 However, again for reasons unclear, some Inside Views made their way into packs. 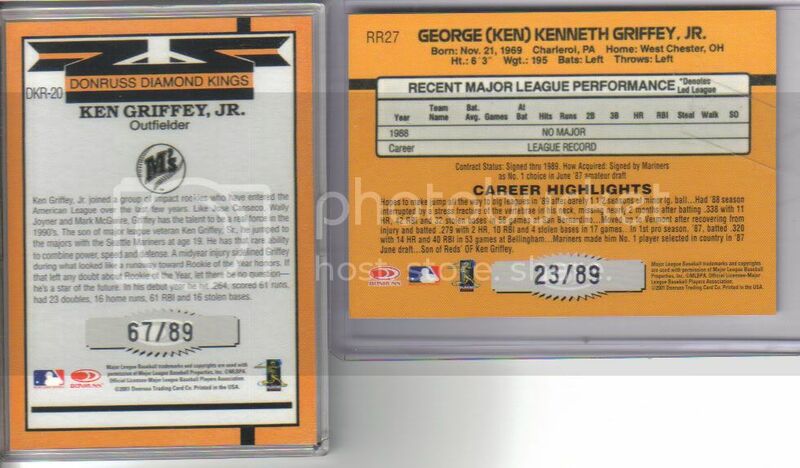 Originally, each card was to have been serial-numbered to 1000 copies with a Black parallel numbered to 50. 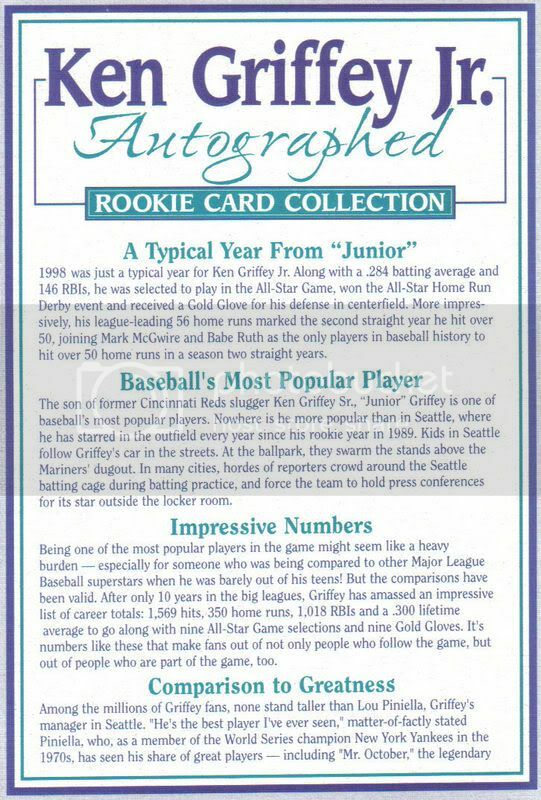 The cards that made their way into packs are NOT serial-numbered. It appears that anywhere from five to 25 copies of each card made their way into packs. 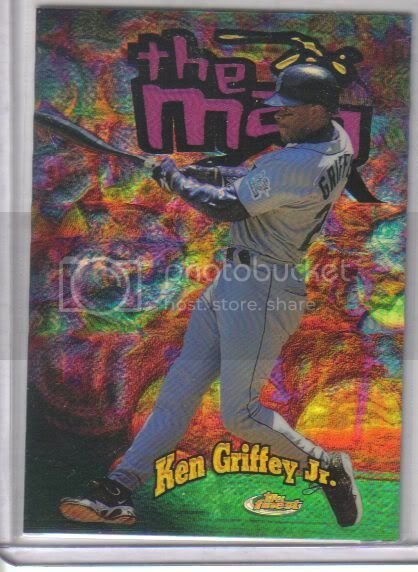 A parallel refractor-like, "rainbow" version of these cards exist, however the print run is unknown. Last edited by magicpapa; 11-11-2018 at 05:51 AM. Last edited by magicpapa; 11-17-2018 at 12:17 AM. 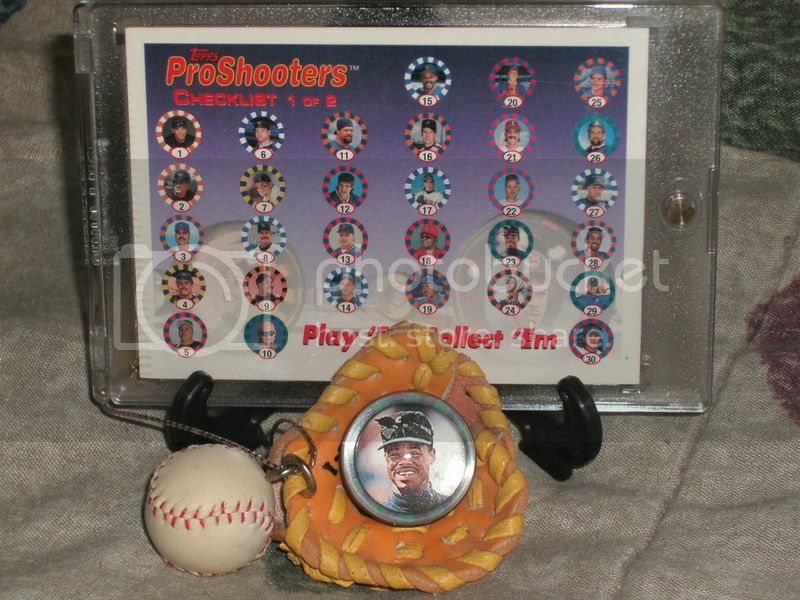 1997 Topps ProShooters Marbles was a test issue believed to have been released only in Canada in the summer of 1997. Each pack contained two, 1" diameter, marbles and one of two checklists. Last edited by magicpapa; 11-17-2018 at 12:55 AM. 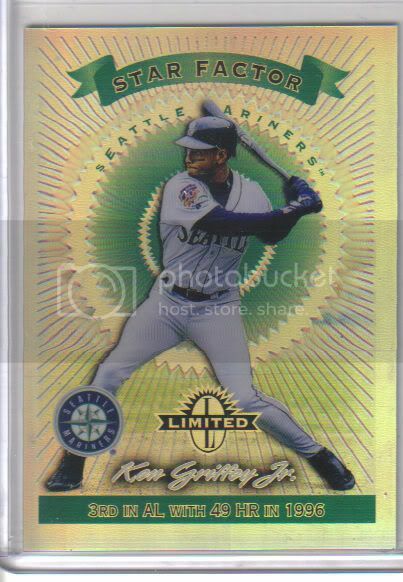 Note: The Fanfest Edition tins were distributed exclusively to dealers who setup at the 1997 All-Star Game Fanfest (sponsored by Pinnacle Brands) in Cleveland. 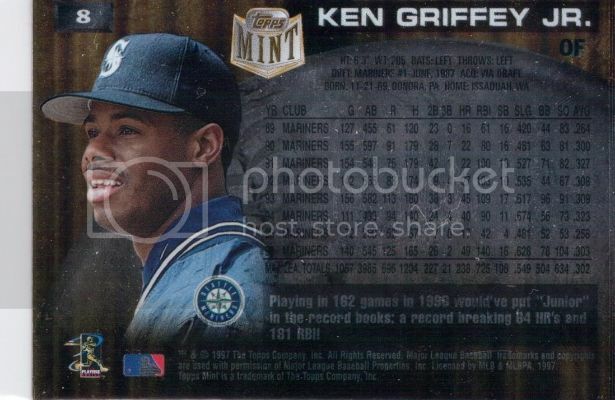 The Fanfest Edition tins are identical to the standard Blue tins, except that the Donruss logo is in gold ink. Last edited by magicpapa; 11-17-2018 at 01:34 AM.